Of all the chocolates in those yummy assorted boxes, the coconut filled ones have always been my favorite. JD's a big fan of them too. With a giant jar of coconut oil in the pantry, I have been busy looking up recipes, looking for an excuse to use it. 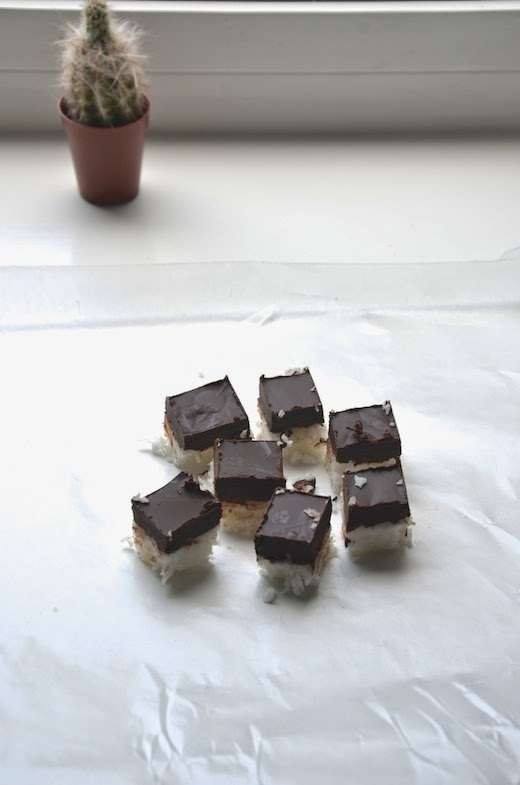 These chocolate coconut bars were a no brainer. They are insanely easy and quick to make and taste just as good, if not better than store-bought versions. Warm coconut oil until liquified. You can just stick it in the microwave. In a medium bowl, mix coconut oil, shredded coconut, and honey until combined. Line a pan or container with parchment or wax paper and pour the coconut mixture into it. 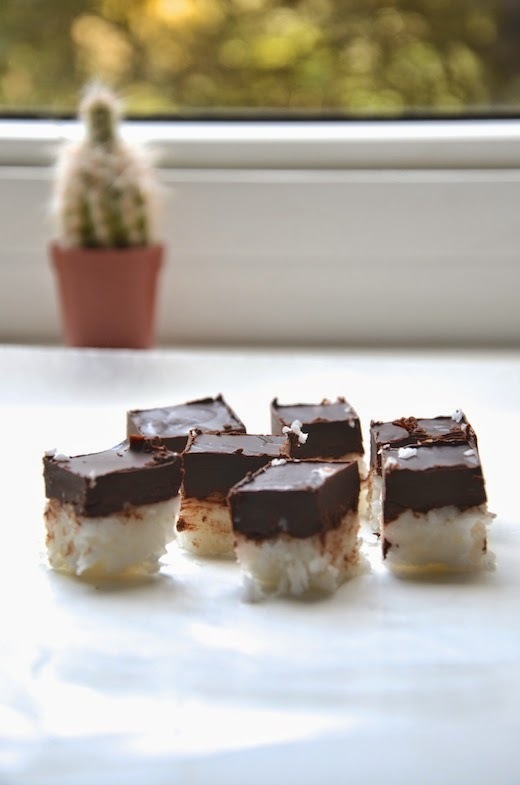 Melt chocolate and spread over coconut. 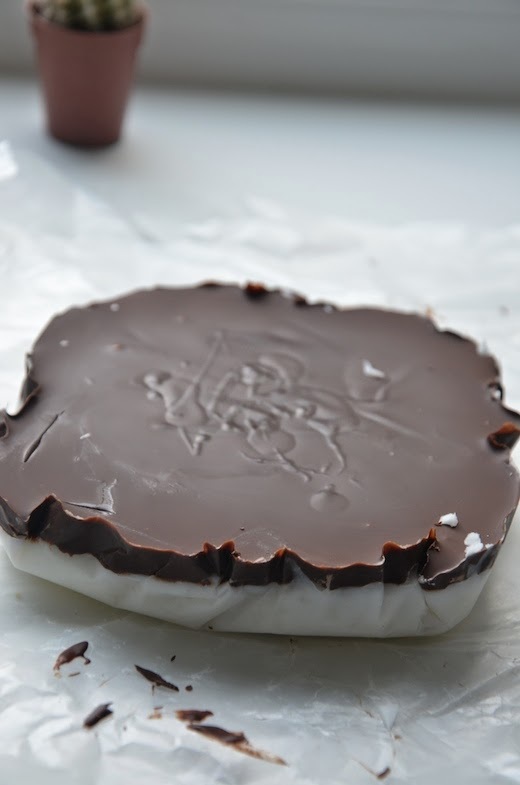 Refrigerate until chocolate cools and solidifies. *do not freeze chocolate! Carefully cut into squares and enjoy! This recipe will make about 25 pieces.